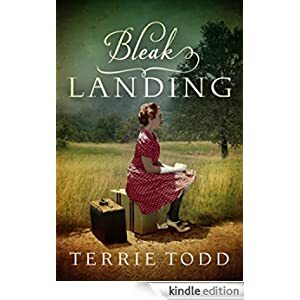 In the dead-end Canadian town of Bleak Landing, twelve-year-old Irish immigrant Bridget O’Sullivan lives in a ramshackle house and dreams of another life, even as the Great Depression rages. Routinely beaten by her father and bullied by schoolmate Victor Harrison, the waifish yet fiery redhead vows to run away and never return. Just a few short years later, run she does and lands a job at a garment factory, the first step on her journey to shed her past and begin anew. When her father dies, Bridget—now a striking and accomplished woman—returns home to claim her inheritance. But she has no identification to prove her stake, and no one in town recognizes her—except Victor, who has become a pastor and a candidate for town mayor. As Victor preaches of freedom in faith, will his words spark Bridget’s once-hopeless heart and lead her to the life she’s been seeking? Buy this inspirational novel for only 99 cents today. Audiobook: $1.99.